Popular restaurant and brewery considered by many a Taipei institution that needs visiting at least a couple of times. 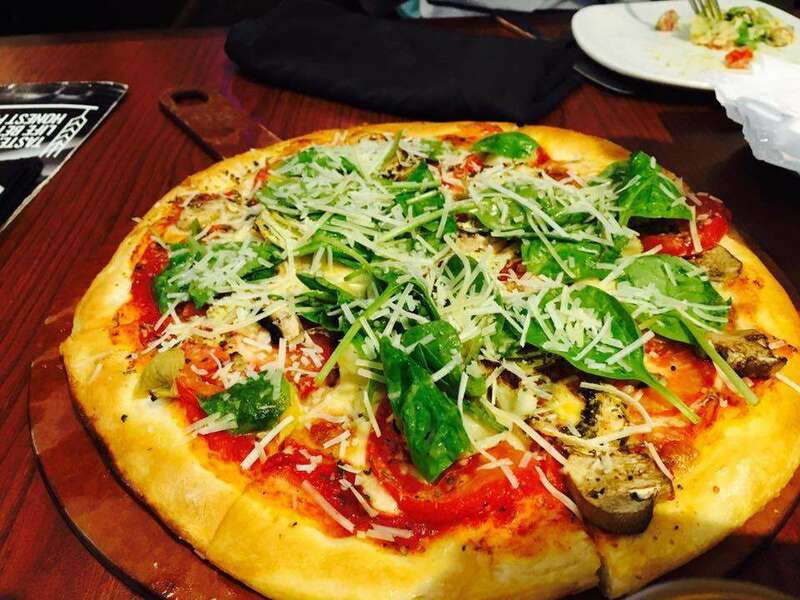 Great for pre-drinks and a meal during evenings and Fridays. American bar menu and a great selection of beer. Two venues in Taipei, one in Dunhua N Road near IKEA, and one in Xinyi. 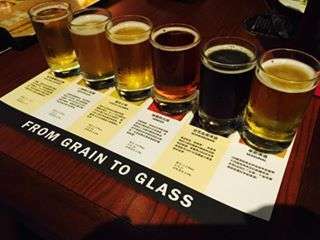 "Fresh, hand crafted beer and premium, made-from-scratch food... all served up in a friendly and fun atmosphere - that's what the Gordon Biersch experience is all about. "How It All BeganWhat began over twenty years ago as a dream of bringing together fresh, handcrafted beer and made-from-scratch, world class cuisine - is today a reality at Gordon Biersch Brewery Restaurants from coast to coast and across the Pacific to Hawaii and Taiwan.This dream of exceptional beer and delicious food became a reality on July 6, 1988 when the first Gordon Biersch opened in Palo Alto, California. Acquired by Big River Brewing Company in 1999, Gordon Biersch currently operates 29 restaurants in the United States, including Honolulu, Hawaii. 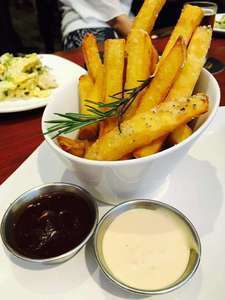 Additionally, two Gordon Biersch Brewery Restaurants operate in Taiwan. The Gordon Biersch heritage of superior beer, great food and good times are now being served up fresh daily.Made-From-ScratchOur restaurants showcase a passion for food through their commitment to using only the freshest and finest ingredients in all the items that they prepare. Featuring a made-from-scratch American menu with bold international flavors, the Gordon Biersch menu offers a wide variety of choices for any dining occasion.UniqueMost of our restaurants feature an on-site brewery where our Brewmasters create their award-winning house beers, as well as limited-time brews that compliment all seasons. Each seasonal beer is celebrated with a tapping party that’s open to the public were patrons are encouraged to sample the latest seasonal beer and menu.Guests can also reserve their spot at one of our Brewer’s Dinners where exceptional brewing meets culinary brilliance. Attendees are treated to an off-the-menu meal created by the restaurant’s executive chef, with each course being paired with a flagship or seasonal beer brewed right in our brewery. 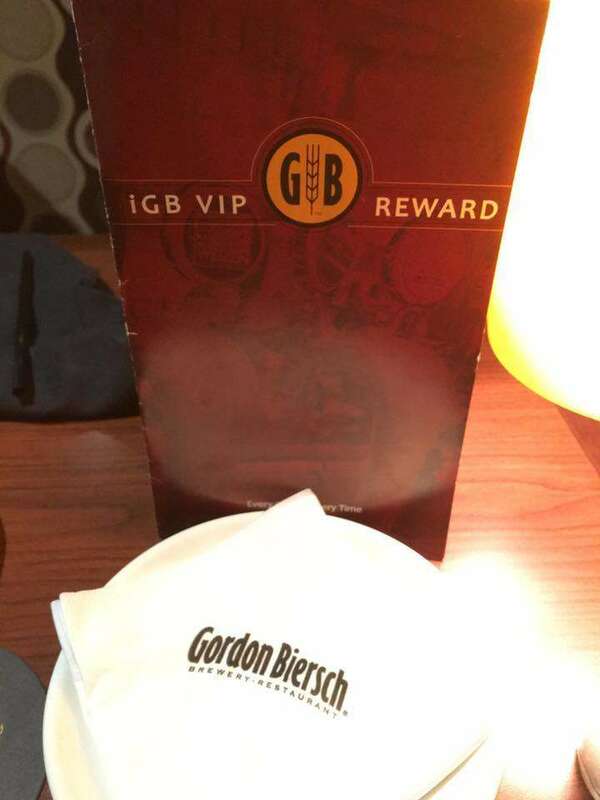 Be sure to sign up for our Gordon Biersch Online program to find out when the next Brewer’s Dinner will be held in your area.At Gordon Biersch Brewery Restaurant, we value our guests and reward them daily. 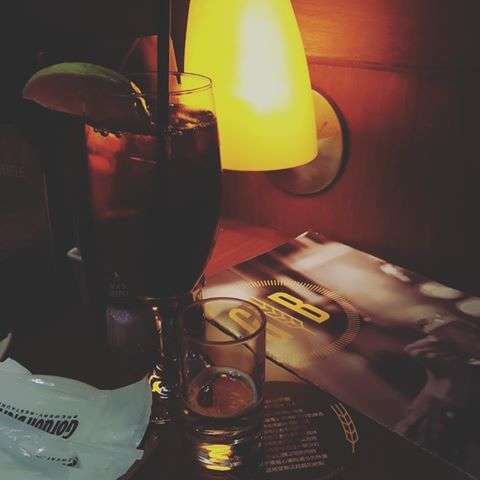 Loyal members truly enjoy both our Passport Rewards and our exclusive Stein Club member programs. Both clubs allow guests to accrue points for dining at any Gordon Biersch and members can redeem their earned points for rewards such as Gordon Biersch gift cards, fantasy vacations or even a trip to Oktoberfest in Munich, Germany.Beer Like It Ought To BeFeaturing German lagers and ales, handcrafted and brewed to perfection, Gordon Biersch goes to great lengths to serve each guest the freshest beer possible. This commitment to serving the finest and freshest beer possible has led to numerous awards.Every Guest, Every TimeOur commitment to giving each guest exceptional service and hospitality is summed up in our motto "Every Guest, Every Time." From the time you are greeted at the front door and invited to enjoy one of our handcrafted beers or made-from-scratch menu items, you will be made to feel welcome and part of a unique experience. Be it a brewer giving a special tour of our Brewery, a host finding just the right seating for your party or a server making sure we accomodate a special request, the spirit of "Every Guest, Every Time," is seen in everything we do.